IN THE BLOOD was inspired by actual events and their resulting, recurring nightmares. Do the choices we make in our past lives haunt us throughout time? That seems to be what’s happening to 21-year-old Skyla Jane Judge as she struggles to decide her future. It turns out that the special abilities she’s recently discovered stem from spiritual practices she engaged in during a past life. The question is, should she embrace these powers—and her true self—or should she turn her back on all that she has become and could continue to become? Meanwhile, the “den” hums below The French Quarter as its members meditate in their makeshift home. 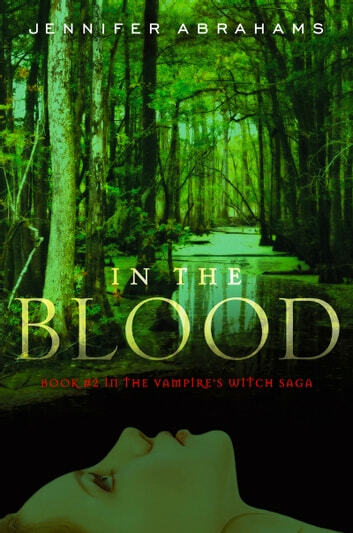 Keeping the clan intact proves to be trickier than ever as they are forced to seek help deep in Louisiana’s swamp lands- placing their trust in powerful vampires, witches, and ... each other. Skyla realizes that clarity comes with a cost in this creepy cobblestone town. Her inner turmoil is heightened by the rival affections of two den members. One offers new love, while the other promises the rekindling of a glorious romance from the past. Skyla’s heart and soul are very literally at stake, and the effects of her decision are sure to reverberate beyond this lifetime. 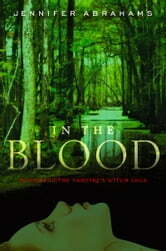 IN THE BLOOD (48,000 words) is Book #2 of The Vampire’s Witch Saga, following Book #1 (THE DEN). Book #3 (THE SEVENTH DAY) of the series is also available for sale. Had a break from reading it, but once i got into it again i couldnt put it down! The book never failed to tempt me to read the next one. I died out a bit at the front then got back to motivation to continue again. However, i was kind of disappointed that Skyla didn't want to choose James. But.. oh well, love should be a free choice. Hope there'll be a surprise in the next one!